Today I am sharing another mani using the OPI Infinite Shine polishes that I received from the Preen.Me VIP Program. 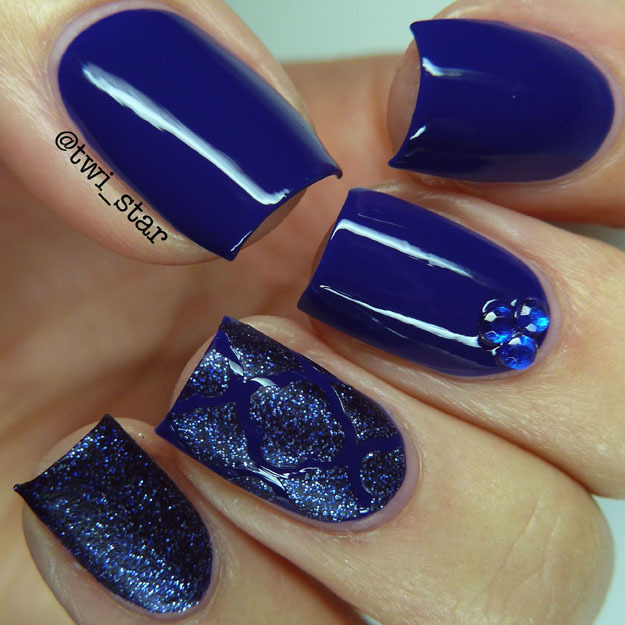 This blue OPI Indignantly Indigo is so pretty! It’s one of those bright/dark blues, which makes absolutely no sense haha I didn’t want to take away from how blue it is so I paired it with OPI Lapis which is from the OPI Designer Series. Shall we check out my mani? AND! Check out my first instagram tutorial! I have a lot to learn but it's a good start! This vivid indigo crème is OPI Indignantly Indigo, from the Infinite Shine line. Application was easy, I used 2 coats here and it covered beautifully. It does have that weird almost skunky smell that blue polishes sometimes have, but it was very light compared to others I have. Dry time was fine. I have noticed that with some of the Infinite Shine colors the top coat brush will pick up the color but with this one I didn’t notice it as much, a little but not like some of the others I received. I really love this one! The inky blue and silver glitter is DS Lapis, DS is for Designer Series. I don’t know if this is supposed to be a texture polish but it dries matte and a little gritty and I thought it looked good without top coat next to the crazy shiny Indignantly Indigo. But when you add top coat the sparkle really comes out! I used 2 coats on the pinky. 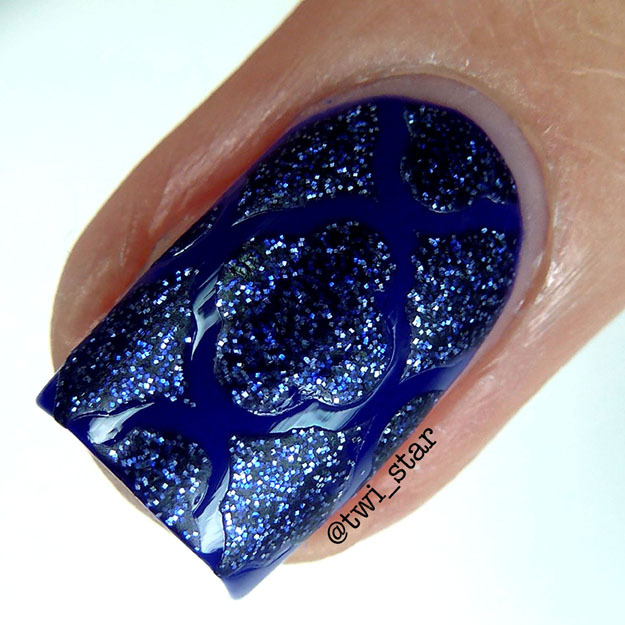 On the ring finger I used DS Lapis over some nail stencils from Vinyl It Up. I love how the matte texture looks over the shiny blue crème! They play really well together! Wearing blue polish always keeps me staring at my nails all day lol Thanks for stopping by! All or some of the product(s) in this post were provided to me by the manufacturer or their PR company for consideration. Please see my Disclosure Policy Disclosure Policy for more info.